What is Kids WingTsun ? Who can learn Kids WingTsun? How is Kids WingTsun taught? 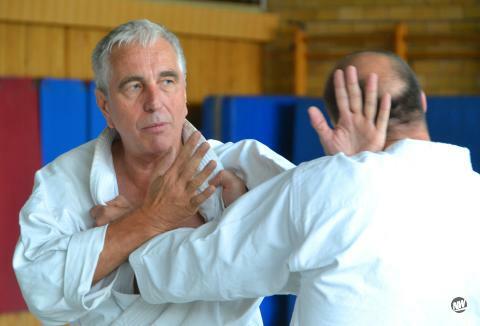 Prof. Keith R. Kernspecht’s WT is devoted exclusively to the self-defence aspect, which plays a subsidiary role for us in the martial sports. Like a big-game hunter researching into the territorial and hunting behaviour of predators, Kernspecht is the first to have examined the thousands of years old, but substantially unstudied rules that govern primitive ritual combat between men. Only someone who is familiar with these forms of behaviour is able to avoid a glance or a word escalating into a catastrophe which all too often leads to loss of life. Dr. Kernspecht gives practical advice on how a fight can be avoided, while warning his readers that it is not about winning, but about damage limitation. However, there are also situations that can only be resolved by the use of serious force, and Kernspecht quite rightly makes it clear that at a certain distance, only a pre-emptive strike makes it possible to use one’s legitimate right to self-defence. This book tells the law-abiding citizen how to handle adrenalin effects such as paralysing fear, how to recognise the right moment for action, how to disguise his preparedness to defend himself until the last moment, and what psychological tricks he can use to overcome his natural reluctance to strike and end the confrontation. What is more, it not only tells us how to win a fight in the street, but also how to win any subsequent court proceedings by showing us how to justify our self-defensive actions in advance with the right verbal responses and body language. In my estimation WingTsun is a really interesting, highly-developed Taoist fighting art which is based on simple principles and very intelligently conceived, though the learning process includes a very complex and laborious methodology which is not suitable for “fast consumption”. Especially where the aspect of ChiSao is concerned, I know of no martial art in which such skills are developed to such an extent. Particularly at close range, WT has given me some eye-opening experiences.